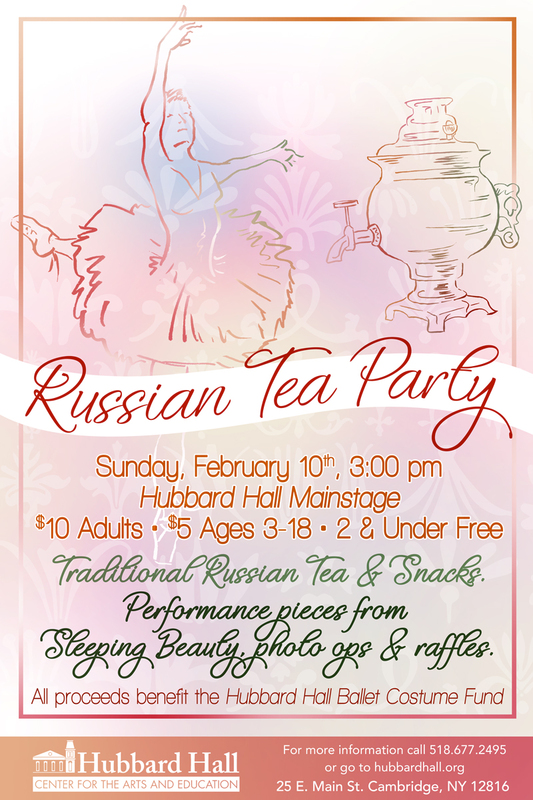 Join us Sunday, February 10th at 3 pm for our Russian Tea Party. A lovely event to benefit our ballet classes! See our ballerinas perform pieces from Sleeping Beauty, and other numbers, and enjoy traditional Russian tea and snacks. There will also be photo opportunities with our older dancers for our younger community, and a raffle for some beautiful handmade ballet items from our very own, Elizabeth Call. Dress the part if you wish! Who doesn't love a tutu. All proceeds to benefit the Hubbard Hall Ballet Costume Fund.